Banff National Park, Canada’s first national park, contains unparalleled mountain scenery tucked into the heart of the magnificent Canadian Rockies. Banff sees millions of visitors every year, which may be discouraging to those seeking a more private experience. That’s why Austin Adventures is the choice in visiting Banff National Park. Our tours will allow you to experience the beauty, flavor, and excitement that Banff has to offer. 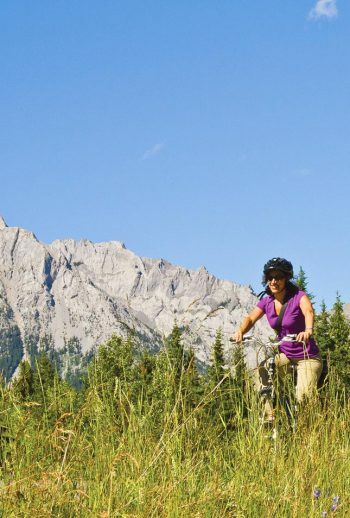 Take the journey through the Canadian Rockies with our Banff Vacation Package. Soak in the breathtaking Lake Louise sights. Hike over the Sentinel Pass, rated one of the top hikes in Banff, ascending from Moraine Lake to alpine meadows to spectacular vistas of Paradise Valley. Join Austin Adventures for an exhilarating trip making memories in Banff National Park.